Aerial photo of the former St. Gabriel’s property soon to be an upscale housing development on the shores of Coecles Harbor. AMBROSE CLANCY PHOTO | A view of Coecles Harbor from the St. Gabriel’s Retreat Center property. JULIE LANE PHOTO | Brokers hired to make a deal for St. Gabe’s are no longer dealing. The two powerhouse real estate firms representing the Passionist Fathers in their efforts to sell the St. Gabriel’s Retreat Center property are off the case. Prudential Douglas Elliman and Sotheby’s International Realty are no longer under contract to broker a deal for the 25 acre property on Coecles Harbor. The Passionist’s recently applied for a subdivision to break St. Gabe’s into residential lots. Gregory Hampson, the chief financial officer for the Passionists, confirmed that the two giant realtors were no longer listing the property. “Our agreement with them expired,” he said. No other realtor is brokering the property at this time, Mr. Hampson said. 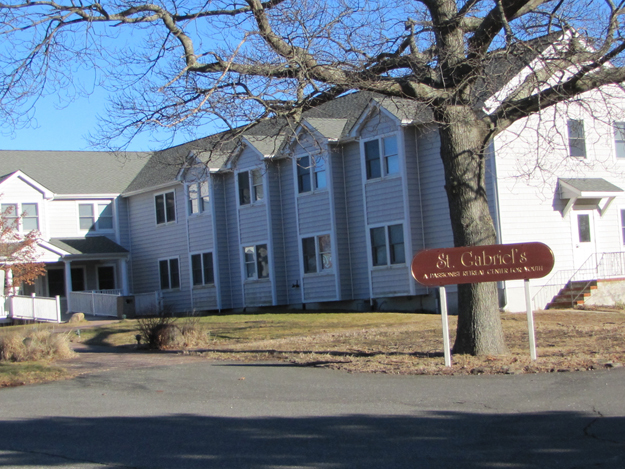 But a source with information on the deal said it was obvious the subdivision application had made the preservation of St. Gabe’s as open space a more immediate issue, and has renewed interest in using town money to buy it. “Prior to the subdivison no one was inclined to move on it,” the source said. Town Supervisor Jim Dougherty has been advocating to use that fund, which is collected by the town from a real estate transfer tax, to buy St. Gabe’s and preserve it. The town’s Community Preservation Fund Advisory Board (CPFAB), the group tasked with targeting and vetting open space purchases, has said the fund doesn’t have the money, plus St. Gabe’s is a developed property and can’t be classified as open space. It recently took the property off a priority list to preserve. The CPFAB is scheduled to meet Monday at 8:30 a.m. at Town Hall.